On the 26th of August the Vice President of Messaging products at Facebook, David Marcus, announced on his personal Facebook Page that Facebook is beginning to test a new service within the Facebook Messenger called “M”. With that post Marcus set the ball rolling in the tech scene and a lot of discussions about the new feature started online. “M” is a personal digital assistant inside the Facebook Messenger. Behind the technology of the assistant is a self-taught algorithm that is backed by actual humans when needed. So it’s an artificial intelligence that is trained and supervised by people, the so-called M-Trainers. “M” will decode the natural language query, ask fellow-up questions based on the answers to questions in either the current or any previous conversation via the message thread and update the user when the task is completed. An interesting fact behind this is that users will never know whether a computer or a person has helped them out. “M” is currently in the Beta-Phase in San Francisco with no set timetable on a release date to the public. Only a few hundred Facebook users in the Bay Area are invited. However, due to the fact that this personal assistant will be integrated in the Messenger, every user of the Messenger, around 700 million in June 2015 according to Facebook and Forbes, will eventually have it. “M” aims to make your life easier and more convenient. We all know how annoying it can be to look thinks up online, e.g. the cheapest flight. Moreover, most of the time you have to switch between mobile apps to perform a specific task. With “M” there will be no need to leave the app and what is even more important no need to actually perform the task yourself. You can simply write your question or task in the Messenger and get the answer from “M”. It will help you find certain products or nearby stores, help you with decisions about presents and make concrete reservations, orders, arrangements, appointments and even more. It will be your own personal concierge service that can for example acquire a gift and make sure it gets delivered in time, all wrapped up with a bow and a nice card. It’s all about big data. Facebook’s business model is based on the analysis and commercialization of high-quality personal data. It already collects a lot of information about our activities and preferences whenever we like, follow and share things. With “M” Facebook gets an even better access to our personal life. As a personal assistant “M” asks us to outsource as many tasks as possible. As such “M” does not only get better access to information about our online activities but also about our offline activities, e.g. when it makes a reservation in a specific restaurant or books a flight. As Navid Hadzaad, CEO of GoButler (another digital personal assistant), puts it, the way to make money lays in the value of knowing the users so well and having all the data on what he or she wants at any given time. How do “M” and similar services impact our society? On the Internet, there is an increase in big data platforms such as Google, Apple and Facebook that accumulate information on consumer behavior, interests, and needs. “M” and similar services like GoButler, Operator, or Magic, which all offer users the option to exchange privacy/data for convenience, seem to be a logical next step to get better access to personal data. Although people claim to care about privacy and the use of their personal data, they happily share data to access these “free” services. In academia this is known as the “privacy paradox”. While this phenomenon is well observed, there is a controversial discussion of whether the negative privacy impacts of new technologies outweigh their privacy benefits. Some academics argue that big data, especially in the hands of only a few large corporations, can harm consumers and increase inequality. 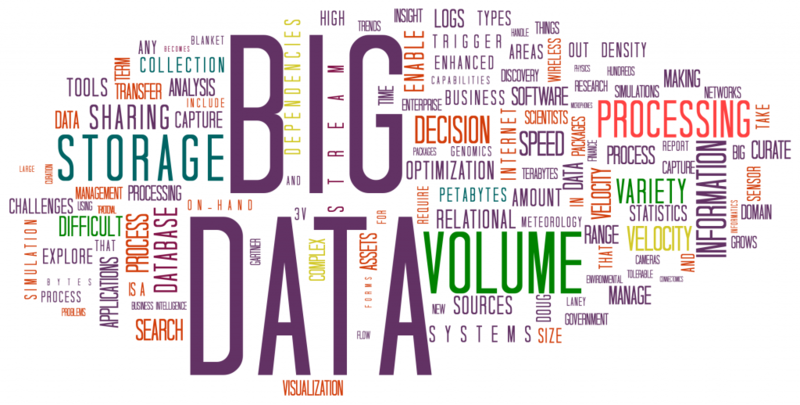 They argue that big data can, for example, lead to price discrimination and racial profiling. Other academics point out that new technologies often offer a tradeoff among different types of privacy. They argue that the positive or negative effects of these technologies often depend on the user and his or her circumstances. For example, a pregnant teenager whose primary privacy concern is shielding her situation from her parents might willingly accept that Google tracks her search if she can thereby find an abortion place on her own. Thus, the effect of new technologies on the society should always be analyzed from different angles. New technologies can add privacy or take it away, depending on how the technologies are used and what legal rules and practices are in place. How this will work out for “M” and Facebook? We will see. Bolluyt, Jess. “Facebook’s Personal Assistant: What’s Different About M?” The Cheat Sheet, 2015. 13. September 2015. http://www.cheatsheet.com/gear-style/facebooks-personal-assistant-whats-different-about-m.html/?a=viewall. Bradley, Tony. “Facebook’s ‘M’ Personal Assistant Faces Significant Challenges“ Forbes, 2015. 13. September 2015. http://www.forbes.com/sites/tonybradley/2015/08/27/facebooks-m-personal-assistant-faces-significant-challenges/. Constine, Josh. 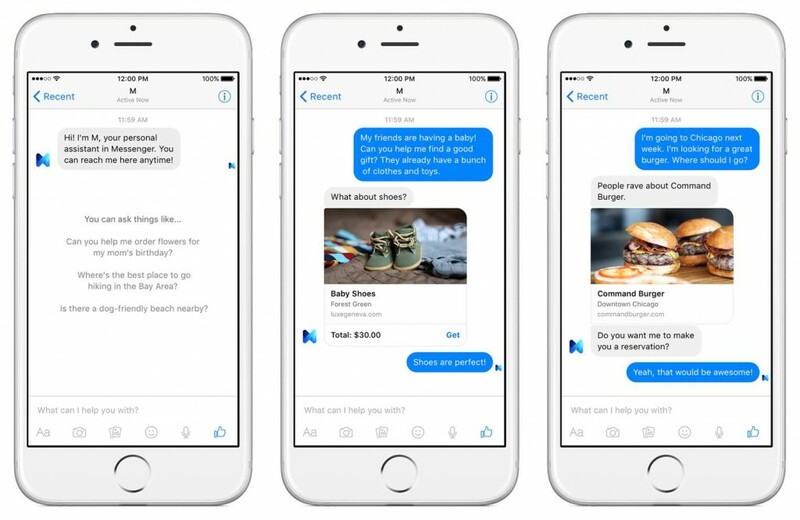 “Facebook Goes Nuclear On The Messaging War With Its M Assistant” TechCrunch 2015. 13. September 2015. http://techcrunch.com/2015/08/26/dial-m-for-murdering-other-chat-apps/#.cbugyc:yfIU. DeMers, Jayson. “Why Facebook Is Making Big Data Available To Select Partners” Forbes, 2015. 13. September 2015. http://www.forbes.com/sites/jaysondemers/2015/03/25/why-facebook-is-making-big-data-available-to-select-partners/. Facebook and Forbes. “Number of monthly active Facebook Messenger users from April 2014 to June 2015 (in millions)“ Statista, 2015. 13. September 2015. http://www.statista.com/statistics/417295/facebook-messenger-monthly-active-users/. Hempel, Jessi. “Facebook Launches M, Its Bold Answer to Siri and Cortana” Wired, 2015. 13. September 2015. http://www.wired.com/2015/08/facebook-launches-m-new-kind-virtual-assistant/. Karl Kratz. “Facebook M, Dein neuer Messenger Assistent?” Karl Kratz, 2015. 13. September 2015 http://www.karlkratz.de/onlinemarketing-blog/facebook-m-messenger-assistent/. Marcus, David. Facebook Post, 26. August 2015. 13. September 2015. https://www.facebook.com/Davemarcus/posts/10156070660595195?pnref=story. Spiekermann, Sarah. “The Privacy Paradox” derStandard.at, 01. March 2012. 13. September 2015. http://derstandard.at/1330390059705/The-Privacy-Paradox. Olanoff, Drew and Constine, Josh. “Facebook Is Adding A Personal Assistant Called “M” To Your Messenger App“ TechCrunch, 2015. 13. September 2015. http://techcrunch.com/2015/08/26/facebook-is-adding-a-personal-assistant-called-m-to-your-messenger-app/. Welch, Chris. “Facebook’s Siri-like personal assistant is called M, and it lives inside Messenger“ The Verge, 2015. 13. September 2015 http://www.theverge.com/2015/8/26/9211235/facebook-m-personal-assistant-announced.